Paint, color, cut, paste... all this and more find different activities that we have prepared to have fun with your favorite characters. All activities are available for you to print. You can also view our video tutorials for your activities. Do you dream of flying? Along with Aitor wanted aand can get. 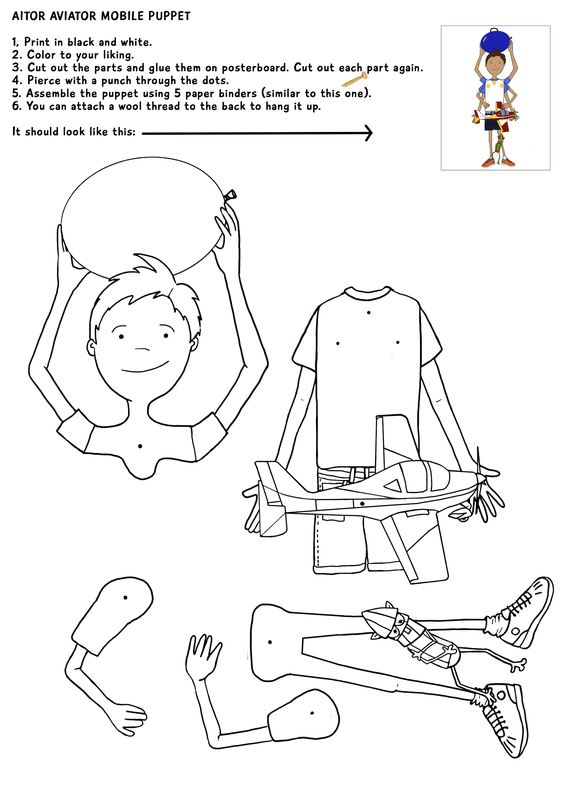 If you need to do the activities in a digital way, download the document and open it in Paint to color it to your liking. Glue the back of the sheet and the tabs. Print on A4 size sheet in black and white! Cut out the parts and glue them on posterboard.! Cut out each part again.! Pierce with a punch through the dots.! 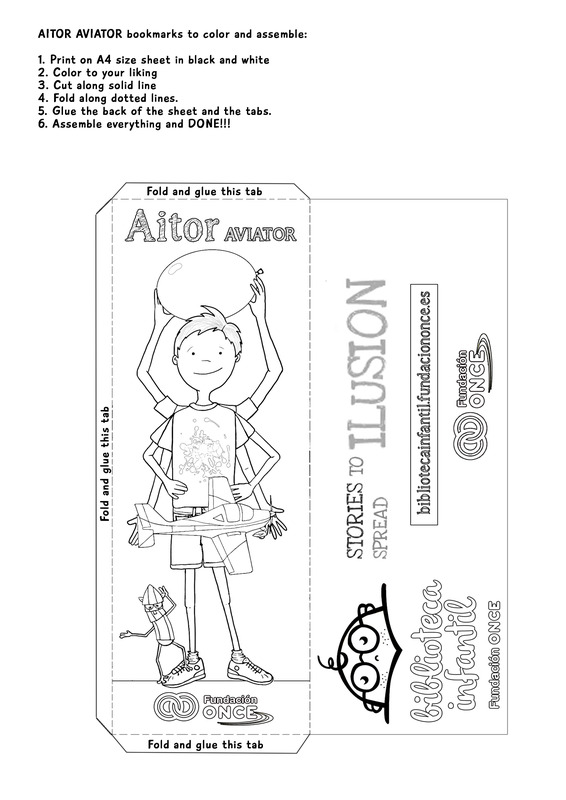 Assemble the puppet using 5 paper binders (similar to this one)! You can attach a wool thread to the back to hang it up.! Print the cover page in black and white. Cut all pages along solid lines. Stack all pages to make a book. Staple them or glue them along the edge. Open the document in Paint. Color to your liking using the software. Print on A4 size sheet in color, of course! Cut out the parts and glue them on posterboard. Cut out each part again. Pierce with a punch through the dots. You can attach a wool thread to the back to hang it up. Print all the pages in color, except cover. Open the cover page in Paint. 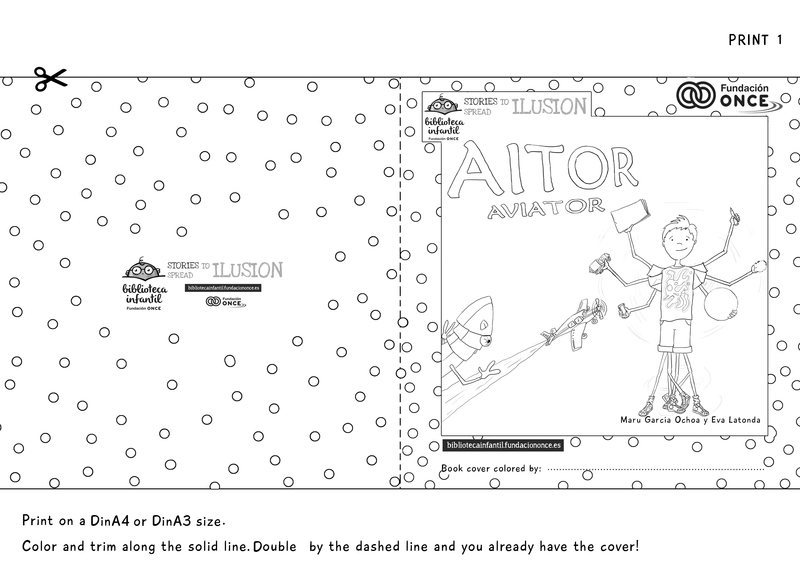 Print the colored cover page in color.